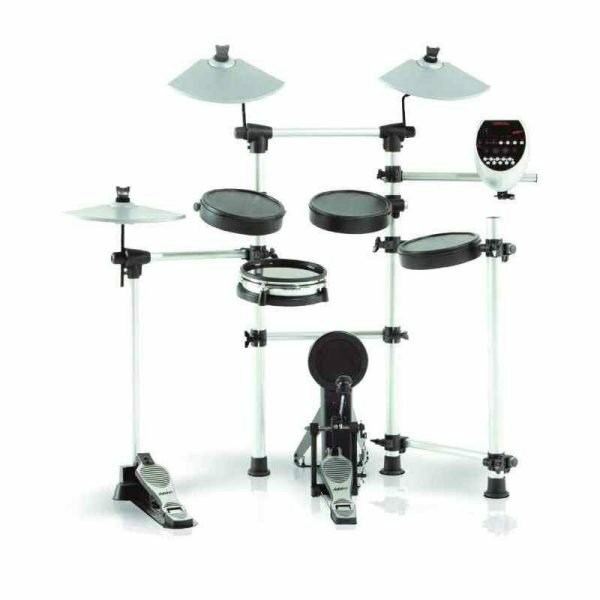 Electronic drums are a brilliant alternative for an aspiring drummer who doesn’t have the room for a traditional kit. Perfect your drumming skills without getting complaints from the neighbours, Ashton’s electronic drums are also extremely portable making them great for recording or live gigs. With 108 different voices, drumming has never been so fun! The Rhythm VX range delivers great sound and reliability, from the recording studio to the live performances, allowing you to record your sessions easily with a USB output. With higher performance and more reaslistic sounds than the Rhythm X upgrade to the VX when you want recording capabilities, a floor tom in your kit and higher quality snare sounds. With a uniquely Ashton designed mould this kit produces a unique look designed for playability and players comfort for real sound.